Join Danny & Miranda for two hours of utter nonsense, Birmingham based features and chat about your biggest gripes. Expect pranks, general gibbering madness and some fresh Birmingham based music in between. With genuine muso interviews with the likes of Ed Geater, Harry Jordan through to Electric Swing Circus, you can expect music exclusives as well as rap-battles, marshmallow challenges and the Wayback Wednesday playlist. 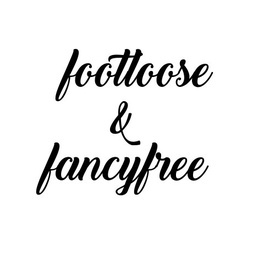 Footloose and Fancy Free doesn’t take itself too seriously and loves Birmingham just as much as you do. For games, the occasional on-air domestic and inspiring chat with Brum’s finest talent and entrepreneurs, join Danny and Miranda from 2pm every Wednesday.